For over 20 years, the charismatic character of the Real Effect has re-shaped the Jewellery industry. With their delicately hand crafted details, their tried and tested methods date back across generations of silversmiths. They believe in the charming yet beautiful nature of hand-finished craftsmanship. They pride themselves on their exceptional levels of customer satisfaction & safety and they go to great lengths to insure our gemstones feel every bit as lustrous as real diamonds. They sound like the kind of place I would shop. 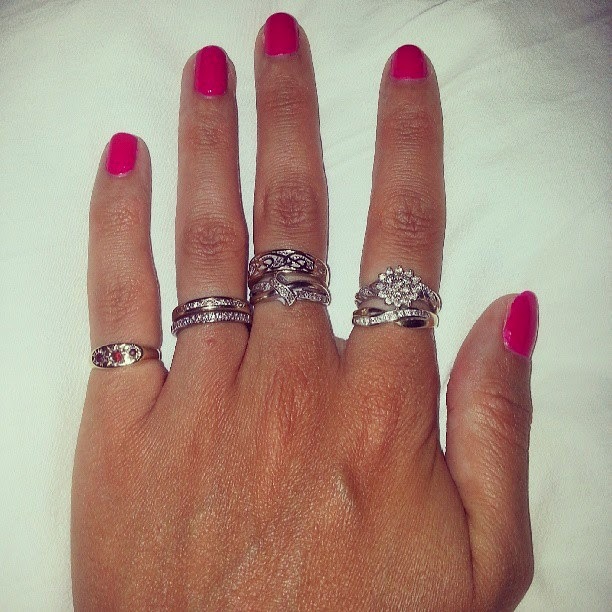 My left hand is full of rings and I love each one of them (yes all 7 of them). 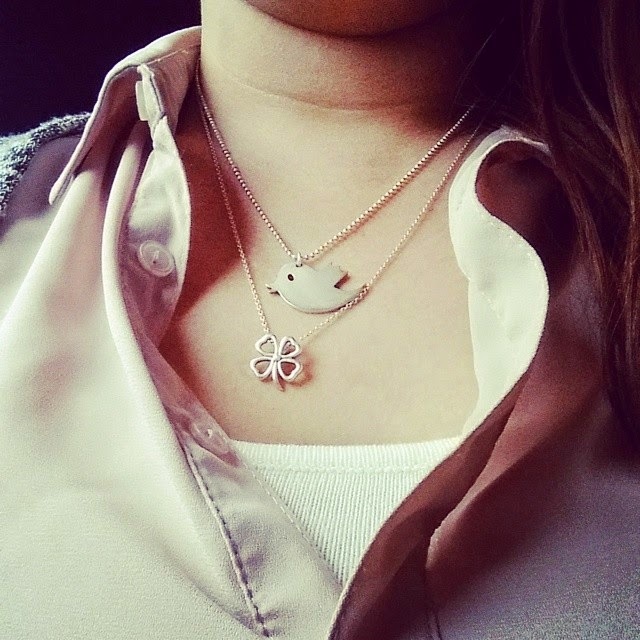 My neck has one small silver clover hanging from it and sometimes a silver Tweety bird (Because I love Twitter so much) whilst my wrist homes two pretty charm bracelets. I love all of my jewellery, every piece is special to me and tells it's own unique story. Where it came from, why I recieved it and most memorably, how it made me feel when I put it on. Before putting it on your wrist. Made to fit like a glove. True beauty made just for me. Just look and you will see. Watch them help you grow. I love that it make me feel real. Seeing as there's 3 prizes to be won in this competition I've decided to pick one piece for under £100 that I could chose if I won their first prize and one piece under £40 that I could chose if I won their third prize. I love my jewellery as you know so I just had to join in. This beautiful fully stone set wishbone pendant is made of stunning sterling silver and costs just £37.80. It's very pretty and full of sparkle which is me all over. I'm a firm believer in wearing lucky charms and good luck symbols so a wish bone is perfect for me. 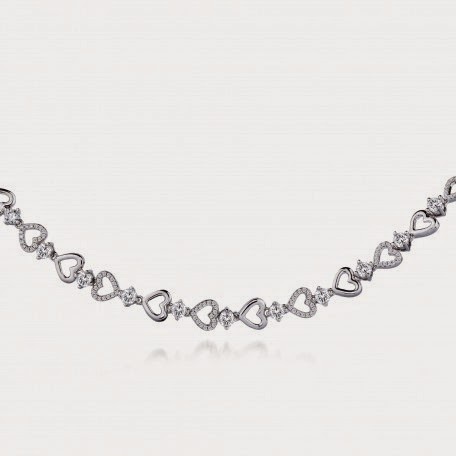 This gorgeous Sterling silver bracelet with interlocked hearts is my ultimate favourite, It has everything a girl could want and more. It's full of sparkly hearts and comes in at under £100 by two pounds. I think £98 is a fantastic price for such beauty, I'd pay that easily. Jewellery can cost you a fortune but it doesn't have to. The Real Effect have some truly beautiful pieces that will look a million dollars but won't break the bank. I'm not quite sure why I've not seen them before but I have now and there's a few items now on my Christmas list. A new bracelet would be lovely this year I think, I hope, I wish. Disclosure: This post is my entry into the #RealEffectBlogComp being hosted by the lovely Mel at The Diary Of A Jewellery Lover. I have not been asked to write it or been compensated in any way. This is simply an entry into a competition, have a go. Thanks for entering the competition. I wish you all the best and good luck!